You are about to enter into a rental agreement with the Violin Company. The initial payment shown below will be taken using PayPal, either from your PayPal account or if you prefer, your Credit or Debit Card. The Monthly Rental Payments, which will start after the initial three months, will be collected using a Direct Debit. Once you have made the initial payment and we receive notification from PayPal we will send you an agreement for you to sign and return to us and also send you an email from our Direct Debit processor GoCardless. The email will have a link, which will take you to a secure area of their site where you can enter your bank details and authorise us to take the monthly rental payments. 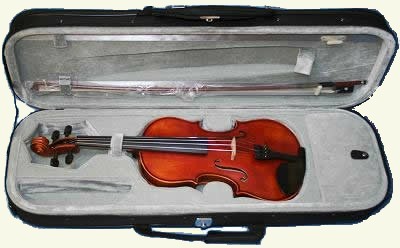 You can read more about the rental process on our Rent A Violin page. and enter your payment details.